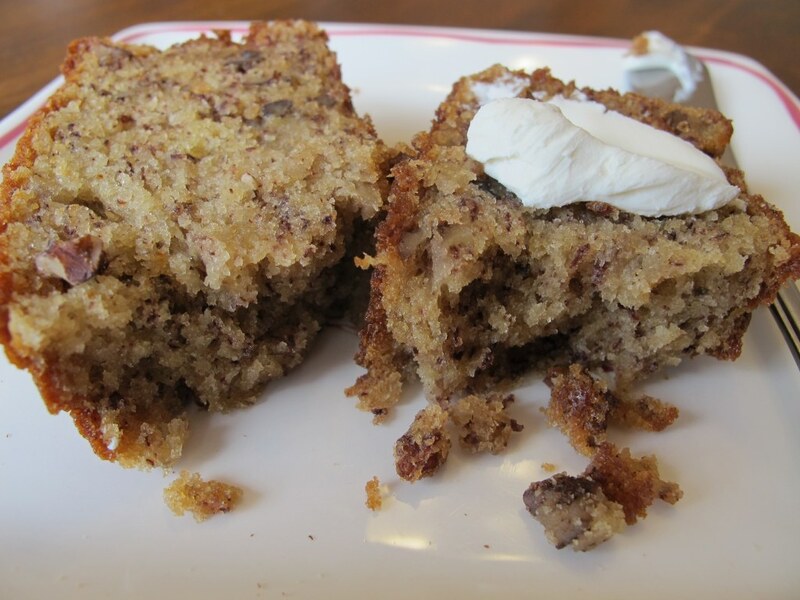 Classic and easy are two great words to describe this banana bread recipe. There are few ingredients in this recipe and I’m sure you even have all or most of them already. I love finding a recipe that I want to make and realizing I can make it immediately! It’s incredibly moist, rich, and delicious! I adore it’s perfect banana flavor with a touch of crunch from the pecans! In a large bowl, stir the melted butter and sugar together. Then add the eggs and vanilla extract and mix well. Set this bowl aside. In a separate large bowl, whisk the flour, baking soda, and salt together. Gradually add the dry ingredients into the wet ingredients until smooth. 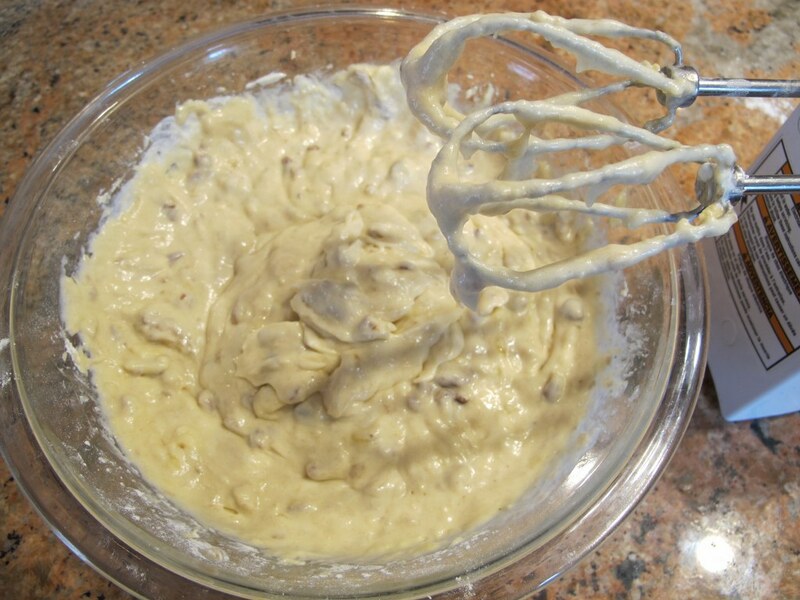 Gently stir in the sour cream, pecans, and bananas just until mixed. Spread evenly into a greased 9 x 5 loaf pan. Bake for 60 minutes or until a toothpick inserted into the center of the loaf comes out clean. Cool the loaf in the pan for at least 15 minutes before serving. I store my banana bread on the counter either in the loaf pan or storage container and it’s always eaten within a week. You can also freeze it in tin foil and freezer friendly zip lock bag for up to 2 to 3 months. I also think that the sour cream is an essential ingredient to this bread coming out so moist! Get ready for your house to smell like wonderful warm banana delight! It’s scrumptious just a few short minutes out of the oven! If you like it hot keep it mind it might be a bit crumbly which is awesome. Let it cool longer to help it stay together better. 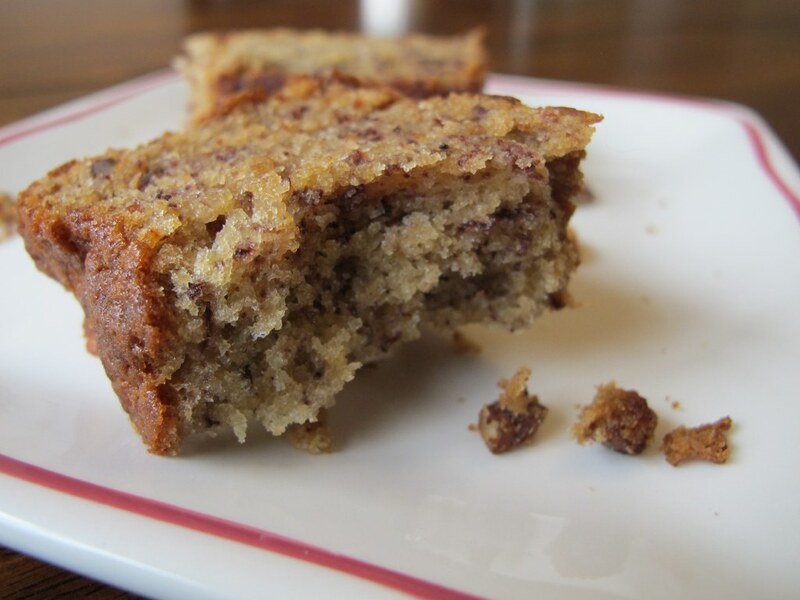 I wouldn’t think of trying any other banana bread recipe because this one is completely amazing. I mean this one faithfully comes out “mmm good” every time so I don’t need to cheat on it! I enjoy eating this delightful treat for breakfast topped with cream cheese. If you like walnuts then by all means use those instead of the pecans because they go well with banana treats. I replaced the walnuts with pecans in my recipe because I’m allergic to walnuts. 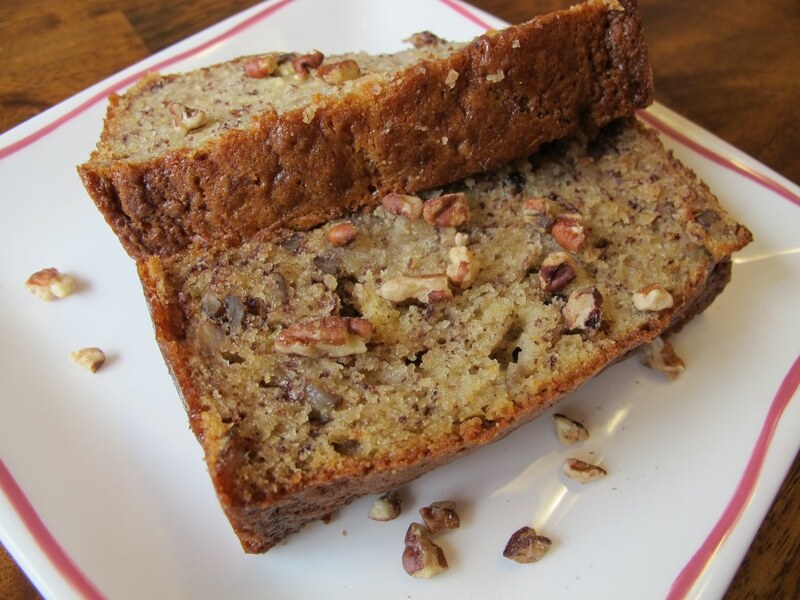 Your banana bread looks soooo good! I’m a huge fan of banana bread and just posted (another) one yesterday. Really ripe bananas and yogurt/sour cream are the keys to a great loaf! Yours is wonderful! Thanks for visiting, Averie! 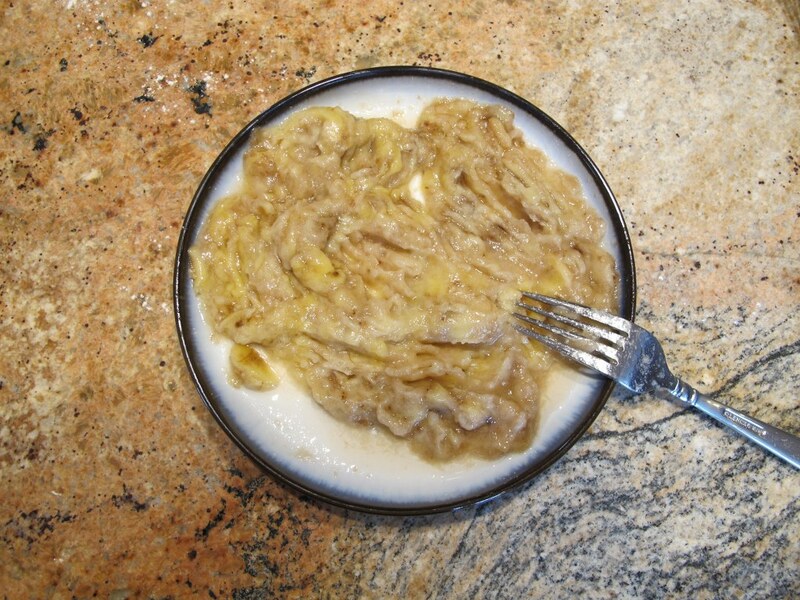 Great minds think alike and I totally agree that the key to success is the sour cream and ripe bananas. I’ve been meaning to try the recipe with yogurt and I’m sure it would taste just as awesome because yogurt is a great substitute. 🙂 I’m flattered by your compliment because I’m a HUGE fan of your blog!! Do you think this would be possible to make in a bundt pan? Would it be necessary to double the recipe?